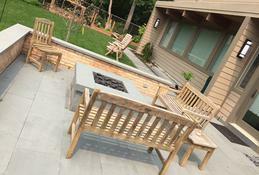 Dreamscapes Hardscape & Concrete Inc.
As the name implies, Dreamsapes Hardscape & Concrete, Inc began installing pavers, concrete and water proofing solutions in the early 2000's. Our expertise in this area alone has led us to become a leader in the industry, offering a quality of workmanship that is unmatched and your over-all best value! Through the years, we have noticed a quality of workmanship in the industry that we felt was not quite up to our standards. Therefore, as we began to grow, we also decided to continually add additional services available to our customers, where they now can look forward to, and rely on high quality results for their entire project. 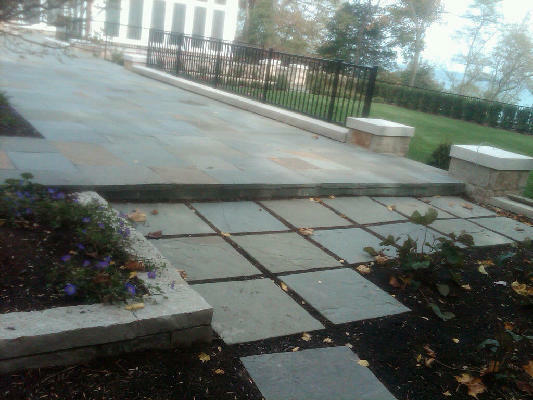 Dreamscapes Hardscape & Concrete, Inc. is a design / build company, utilizing many different backgrounds in the industry, and therefore allowing us to offer a wide range of services. Due to our knowledge, experience, and dedication, we have become a leader in both residential and commercial construction. 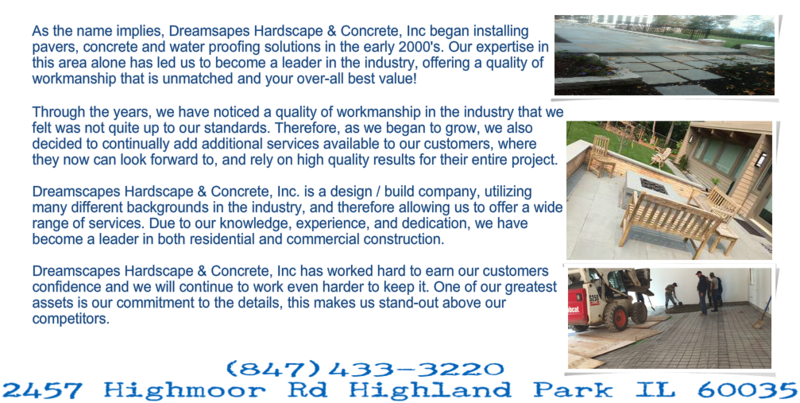 Dreamscapes Hardscape & Concrete, Inc has worked hard to earn our customers confidence and we will continue to work even harder to keep it. One of our greatest assets is our commitment to the details, this makes us stand-out above our competitors.